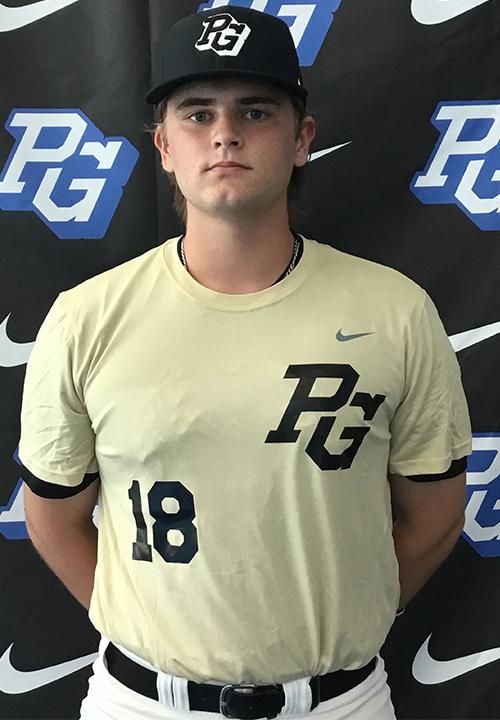 Jacob Herbert is a 2019 C/1B with a 6-2 220 lb. frame from Lakeland, FL who attends George W. Jenkins HS. Big and thick physical build, very strong. Right handed hitter, has a sound fundamental swing with an easy tension free swing, mid field to pull side approach, has some juice in his bat when he's on time and turned on it. Game actions in drills, stays compact well and repeats his mechanics well, can continue to work on his lower half and foot quickness. Solid fundamental player with strength. Very good student.